The IMGA SEA call for entries has started. If you are among the nominated games, you (or someone from your team) will get a free pass for LevelUp 2016 (5-9 November 2016)! 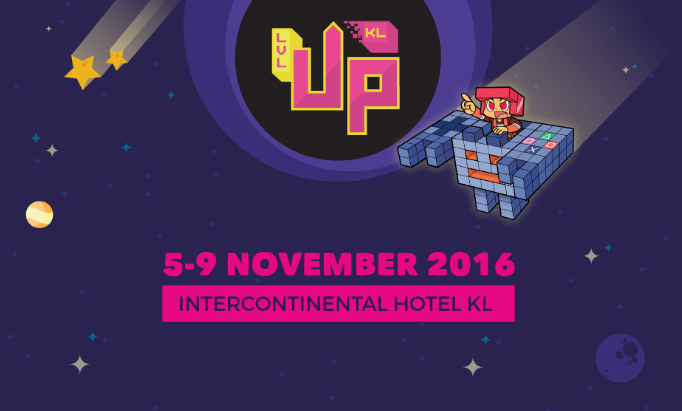 Level Up KL is a two-day game development conference focused in the SEA region. Held in Kuala Lumpur, Malaysia and organized by the Multimedia Development Corporation (MDeC for short), it aims to bring together a community of game developers, publishers, vendors, tech providers, and educators for the purpose of sharing and learning about the industry. Featuring an eclectic mix of local and International players in the rapidly growing Game Industry. Level Up KL 2015 featured more than 40 speakers, bringing together prominent international and local players in the gaming industry to interact, educate and share knowledge.